Biker-Lady Laia Sanz form Spain will continue to concentrate on cross-country rallies and the Dakar during the period of her extended contract, with the five-time FIM Enduro Women World Champion set to also contest selected enduro events for training purposes. Riding her eighth Dakar at the beginning of 2018, Laia took her KTM 450 Rally to an impressive 12th place overall – an outstanding feat considering the depth of talent in the event. 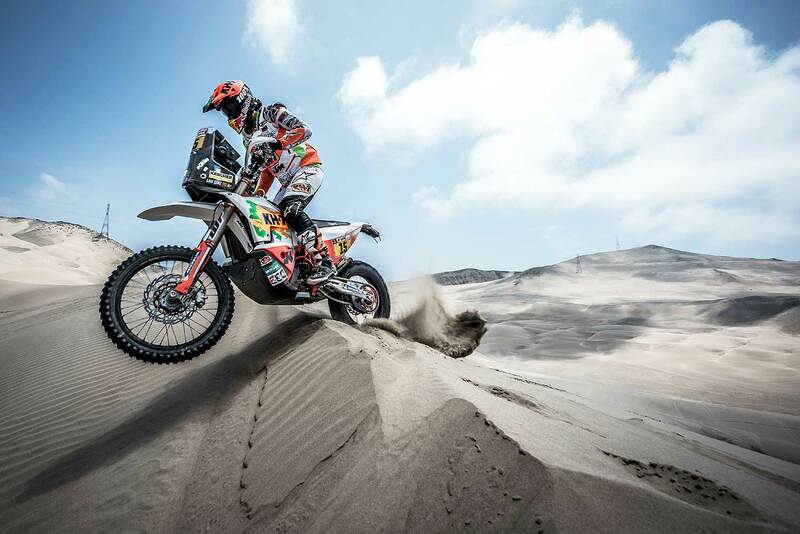 The result ensured Laia’s 100% finishing record remained intact with the Spaniard having successfully completed each Dakar she has entered since her debut in 2011. Signing with KTM until the end of 2020 ensures Laia can focus on her training and racing throughout the next two seasons. The 32-year-old Barcelona native is extremely pleased to have signed her third contract with the Austrian brand. "I’m so pleased to sign for another two years with KTM," said Laia Sanz. "The whole team works together so well and to be a part of that means a lot to me. Extending my contract means I can concentrate on my riding and preparation for Dakar without too many distractions. I plan to enter some enduros each season and maybe try some new events like Erzberg for example, but my main focus will always be the Dakar. I want to say a big thank you to KTM for giving me this opportunity with the best team and I hope to reward their faith in me with some good results." 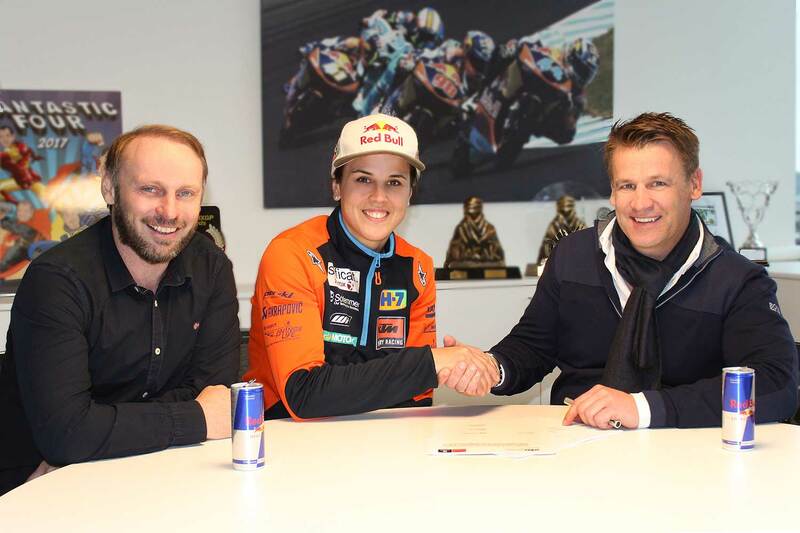 Pit Beirer, KTM Motorsport Director, said: "KTM are extremely proud to sign Laia through to the end of 2020. She has been with us for many years now and it has been a pleasure to see her competing for KTM – her results, and what she brings to the team in the way of inspiration and strength, are exemplary. Laia is a highly valued member of the KTM family and we are pleased to be able to continue our relationship with her." Alex Doringer, KTM Rally Team Manager, commented: "Everyone involved in KTM’s Rally effort is thrilled to have Laia with us for the next two years. What she brings in the way of her personality and professionalism is a real boost to the whole team, and an incredible asset to KTM. Laia’s passion for racing is matched only by her mental strength and enthusiasm. Her results are nothing short of exceptional and she is a huge inspiration for all the other riders. Laia’s contract extension with KTM is very special for us and we are all looking forward to successful seasons ahead."